We offer a *BEST PRICE* Guarantee.... Ask for Details! From the moment you step into our showroom, you will experience the wonderful fragrance that only REAL WOOD gives! We have been doing business with Pensacola area families, businesses, military bases, hospitals, schools, and churches in the same location since 1995. 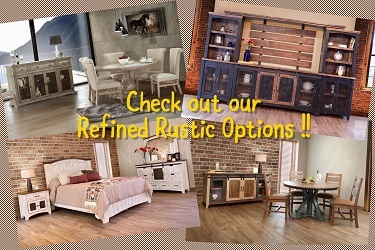 We specialize in quality crafted all wood furniture in a variety of wood species, finishes, and styles with Finished and Unfinished furnishings for every room! Our store offers a NO HASSLE sales approach! 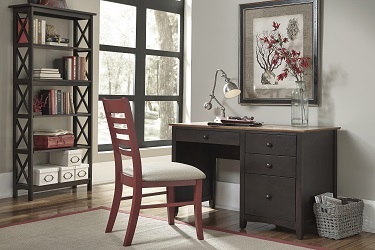 We hope that you will allow our friendly and knowledgeable staff to show you the extensive options that are available with real wood furniture. We are locally owned and operated and dedicated to making sure our customers receive a wonderful buying experience while purchasing heirloom quality to last a lifetime! Come by and visit with us, you'll be glad you did! "We are so happy with our table and chairs. We are going to fill the chairs totally this weekend as we celebrate 2 Birthdays."